Films from the 1950 made a big impact on pop culture as Disney’s Classic Cinderella and the first Father of the Bride starring Elizabeth Taylor were released. These timeless classics make us believe that movies from that generation were indeed golden and had a magical quality to it. Here are the Most Popular Feature films released in 1950. A perennial Disney classic based on a fairy tale called “Cendrillion” by Charles Perrault, Cinderella tells the story of a girl who wishes to be free of her cruel stepmother and meet a handsome prince. This is the best known of all adaptations of this story and along with Snow White, began the “Disney Princesses” motif. It was re-released in theatres in 1981 and 1987 and has consistently remained one of the top sellers on home video. 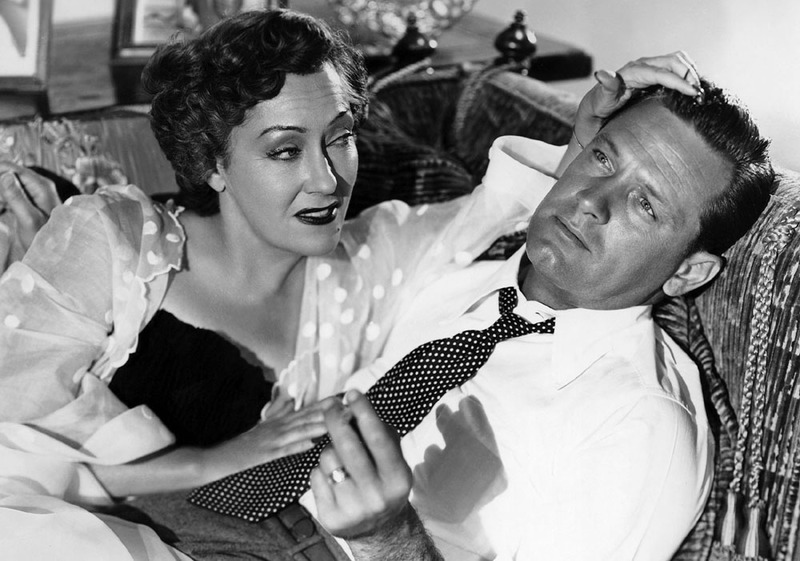 Directed by Billy Wilder and starring Gloria Swanson and William Holden, this film tells the tale of an aging silent era Hollywood star who lives under the delusion her fame is as strong as ever. A screenwriter on the run from creditors takes refuge in her secluded estate while stroking her ego and promising her a huge comeback. This film is notable for cameos by famous silent era celebrities like Buster Keaton, Cecil B. Demille and Erich von Stroheim. Another film about showbiz, All About Eve, tells a story about Eve Harrington, a young ingenue who schemes her way into supplanting an aging Broadway star, Margo Channing. Noted for its bitter irony about Eve’s public persona and her manipulative, deceptive and backstabbing rise to the top, this film has become a Hollywood classic. All About Eve was a big hit in 1950 and remains one of the only films on the review aggregate site Rotten Tomatoes that has a 100% Certified Fresh rating. Harvey is an unusual film, starring Jimmy Stewart as a relatively normal middle aged man whose best friend is a six foot tall invisible rabbit. His sister and niece worry that his insistence on the existence of Harvey is due to a drinking problem or some undiagnosed mental illness. When they try to have him committed, the doctors give up in a mix of admiration and frustration because Elwood (Stewart) seems so well adjusted and enriched by his friendship with the rabbit, who keeps him from ever being alone. This is a very lighthearted and upbeat film despite the disturbing implications of Elwood’s delusion and was a big hit with audiences in 1950. The only non-American film on the list, Rashomon was directed by the most famous Japanese director ever, Akira Kurosawa, and distributed in the US by RKO Radio Pictures. This film has become best known for the plot device of telling the same story from the perspective of multiple characters in order to settle the mystery of a dead samurai found in the forest.